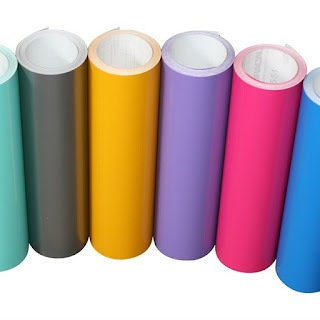 RUN over and stock up on these 💰*POPULAR* Craft Vinyl Sheets ONLY $1.99 (Retail $4.99). Our Glossy finish vinyl features a permanent adhesive that is perfect for outdoor projects such as mailboxes, front doors, and signs. It's also great for use indoors on plates, glasses, tumblers, &amp; more. Compatible with any hobby cutter on the market including Cricut and Silhouette. $2.99 for the first item and $0.25 for each additional item. US only. Seller usually ships within 2 business days. Ships no later than Sat, Sep 29. Ends 9/22 or while supplies last.